Stowlangtoft Estate has six country retreats that are the perfect choice for family holidays, reunions, and wedding guest accommodation. 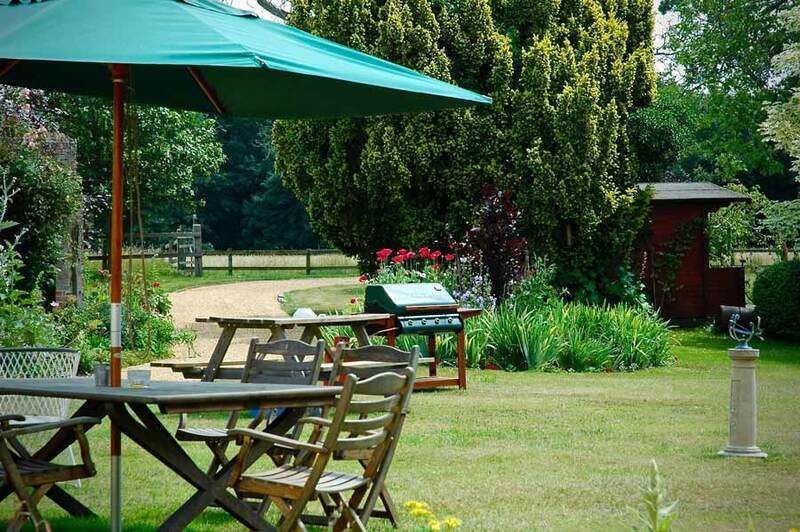 The cottages, all located within half a mile of each other, are surrounded by glorious, rolling Suffolk countryside and are conveniently located just off the A14. The Coach House, Amherst House, Langetot and Stearn Cottage, all recently and immaculately refurbished, form part of the beautiful Stowlangtoft Hall Stable Courtyard redevelopment project; Stowlangtoft Hall was built in 1859 in the Italian style of architecture, and was first occupied by the Maitland Wilson family. Stow Manor and The Shooting Lodge are located half a mile north at Kiln Farm. Families with young children will find the Coach House and Amherst House ideally laid out and well equipped. 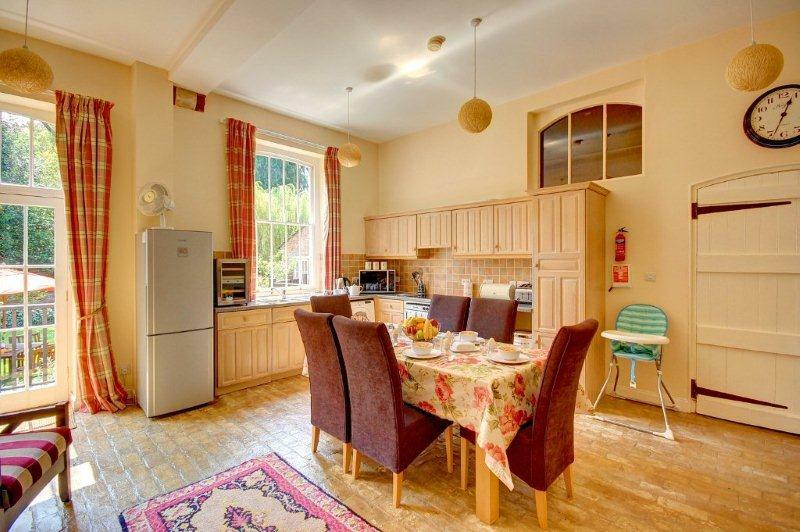 While Stow Manor offers the perfect opportunity for large groups to stay under the same roof. 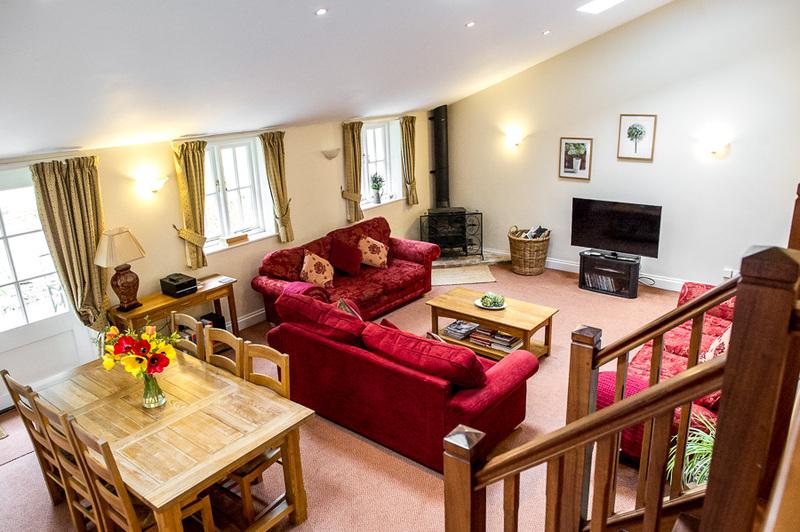 The cottages are available to rent for weekend breaks, mid-week breaks and week long breaks. They are available to let all year round (unless otherwise stated). All linens and towels are included in the cost of your holiday, as is your first basket of wood for the fire/wood burner (where relevant). 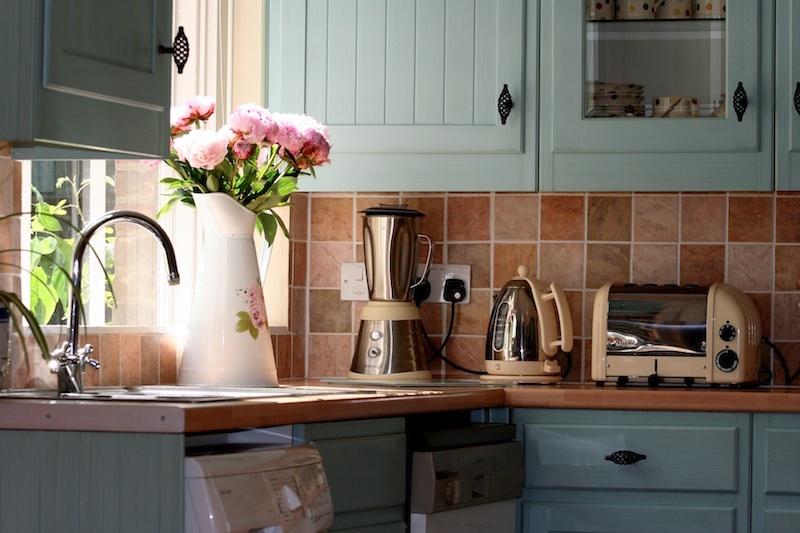 To find further details about each holiday cottage, please click on the links below. Here you will find brochures, a picture gallery and floor plans for each property, as well as prices, availability and booking forms. For those wishing to explore the beautiful Suffolk countryside or simply keep fit, why not go for a walk along one of the four public footpaths on the Estate. Why not walk or drive 1 ½ miles to Wyken Vineyards, to browse in their lovely shop, buy some Wyken wine, or sample local produce from the Saturday Farmer’s Market. For children, there are animals in the meadow (including llamas) and a woodland walk. 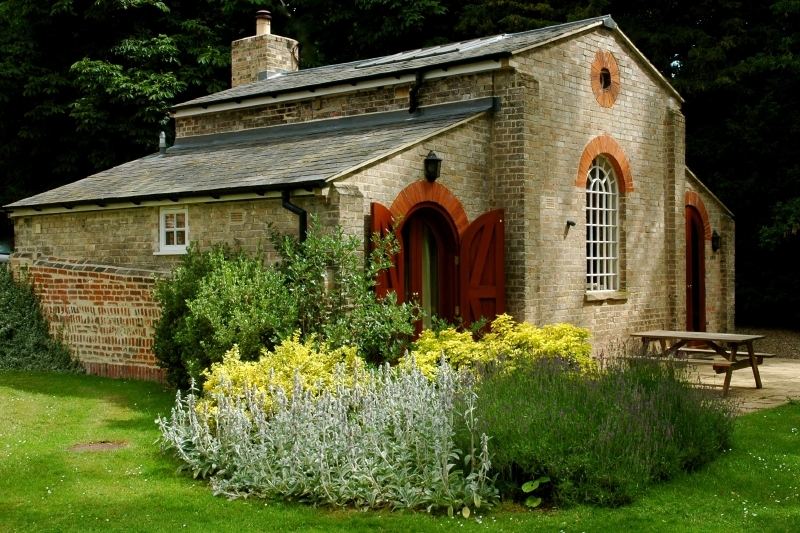 The Leaping Hare Restaurant on the Estate was awarded a Michelin ‘Bib Gourmand’ in January 2008 and 2009. Why not head to Bury St Edmunds, walk through the beautiful Abbey Gardens, with the remains of the 11th century abbey, plus a lovely playground and ducks a plenty to feed, if you have little ones in tow. Explore the market square (market days on Wednesdays and Saturdays), or take a tour round the Greene King Brewery (every day, varying times). If you fancy a cup of coffee, try The Lounge on Hatter St, or Coffee and Kids in nearby Langton Place. For something more substantial, Abbeygate St has an array of restaurants. Head to Lavenham, famous for its wealth as a medieval wool town, with over 300 listed buildings and huge church tower. Guide yourself on a fabulous walk of the town and discover the leaning houses & many other treats. For lovely food, try The Great House (Britain’s ‘Best Restaurant with Rooms’ 2009 – Good Hotel Guide). Why not make a break for the Suffolk Coast, taking in Southwold or Aldeburgh. Take your bucket and spade and have a lovely English seaside experience, enjoying views of pretty beach huts at Southwold. Alternatively, laze on the beach with wonderful fish and chips (there’s a great chippy in Aldeburgh) and then come home to laze some more! A beautiful Suffolk coastal town with real charm and a renowned music festival. The perfect seaside day out. At Stowlangtoft Estate we appreciate how difficult it can be to take young children on holiday and, therefore, work hard to provide a high quality, safe, peaceful, and child friendly environment for your young ones to enjoy. A useful range of baby gear can be reserved upon booking; including cots, highchairs, booster seats, stair-gates, changing mats, bouncer chairs, toddler cutlery, crockery, SoS Baby Kits and much more. A selection of children’s books, DVDs, dressing up clothes, a selection of toys and the Cbeebies TV channel are also provided in Amherst House and The Coach House. Also, a fantastic new play area has now opened, providing opportunities for imaginative and creative play for children aged 3 to 16 years. 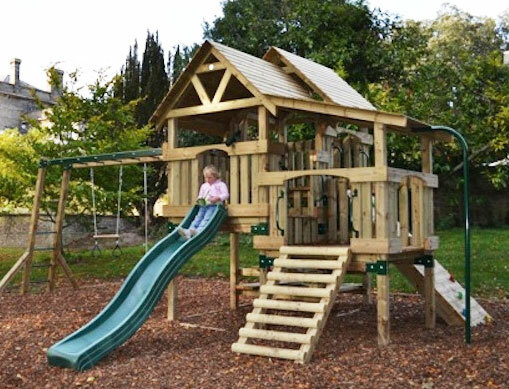 This play area includes swings, a picnic bench, a slide, a climbing wall, monkey bars and a fireman’s pole, set on safety bark. Please note, children must be supervised at all times. An on-site restaurant, The Dark Horse, makes your holiday as child friendly as possible. While, if you prefer to stay in, Tesco, Waitrose and Sainsburys will all deliver to your cottage.